Oriflame Cosmetics intended to celebrate its 50th anniversary in an original way with around six thousand workers as a way of recognising their efforts over the years. 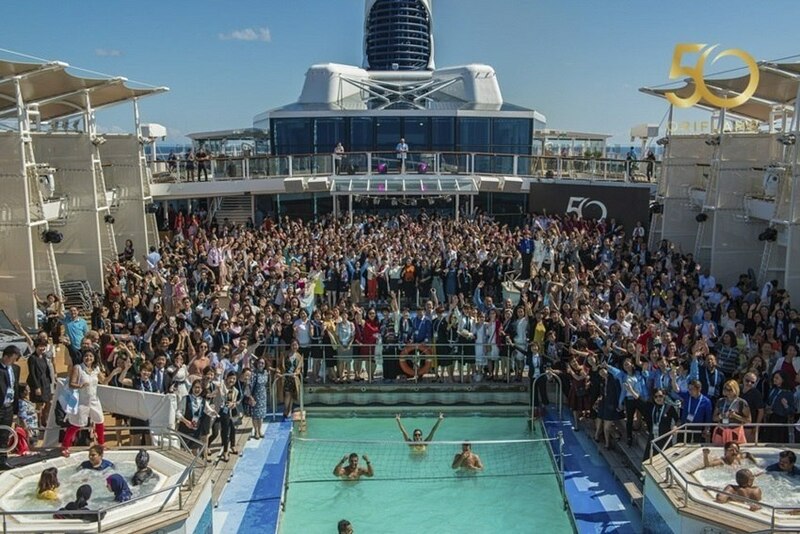 Thus, guests were accommodated on two ships sailing between Rome, Mykonos, Kusadashi and Athens on a Mediterranean cruise, which provided experiences and motivated participants. This initiative won the first prize in the Incentive / Team Building category at BEA World Awards, which also awarded the Spanish agency beon. Worldwide the third prize in the Best Event Agency category, ex aequo with UK's George P. Johnson, and the Netherlands' Xsaga. Creating an unforgettable experience, with intense activities not only during the trip – such as a night show that caught everyone by surprise - but also providing the visit to different destinations, interacting with their people and cultures and discovering their traditions. In Kusadashi, participants even had the opportunity to plant olive trees. And all these moments generated many shares in social media, while also increasing the motivation of the company's employees, as indicated by the positive results announced by Oriflame after this initiative. Location: Rome, Mykonos, Kusadashi and Athens. BEA World Awards: 1st Incentive / Team Building Award and 3rd Best Event Agency (beon. Worldwide, from Spain, ex aequo with George P. Johnson from the UK, and Xsaga from the Netherlands).